A little bit different this time around! Jill finished a couple pussyhats. The first using the Brooklyn Purl Alley Cat Hat by Claudette Brady in Lamb's Pride Bulky. Her rav page here. She also knit a Kettunosin by Anna Maltz out of Filatura di Crosa Zarina doubled, in a light pink and bright pink (rav page here). 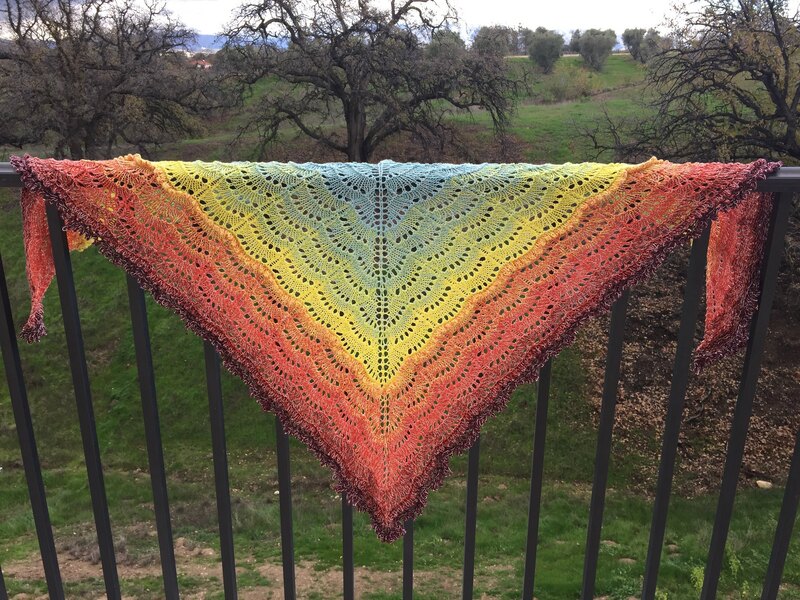 She finished her Brunswick shawl by Mindy Wilkes out of Wolle's Color Changing Cotton in Lifesaver Medley. Hers is here. She also finished her first Mother Bear! 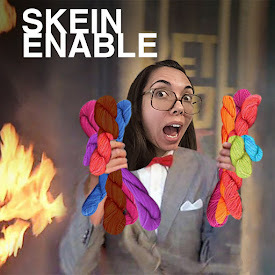 It was supposed to be in honor of KnittyBarb from the 2KnitLit Chicks podcast, but she finished way too late. Jill has been working on her existing projects, including the Shark Bite socks by Lara Smoot. She had to turn them into mitts! She's also gone back to her Sophie's Universe crochet blanket by Dedri Uys using Knit Picks Brava Worsted. Hers is here.